A puffy-centered, crisp-edged oven-baked pancake flavored with soft lavender and filled with bright berry compote. Top with lavender whipped cream for ultimate brunch-master status. Yeah, got it. Dutch baby good. Jump to the recipe, please! I don't know if you've been getting the days-long downpour I've been working with this week, but either way, I've got a recipe that never fails to brighten my day: I give you the Brambleberry Lavender Dutch Baby! Okay, so it's a weird name, but hear me out: it's so, so, SO good. A dutch baby is a buttery oven-baked pancake that puffs up with soft, golden-brown splendor in the middle and crispy, browned edges. The classic way to eat it is with powdered sugar and a little lemon, but you can also top it with fruit or even savory toppings like eggs and avocado. 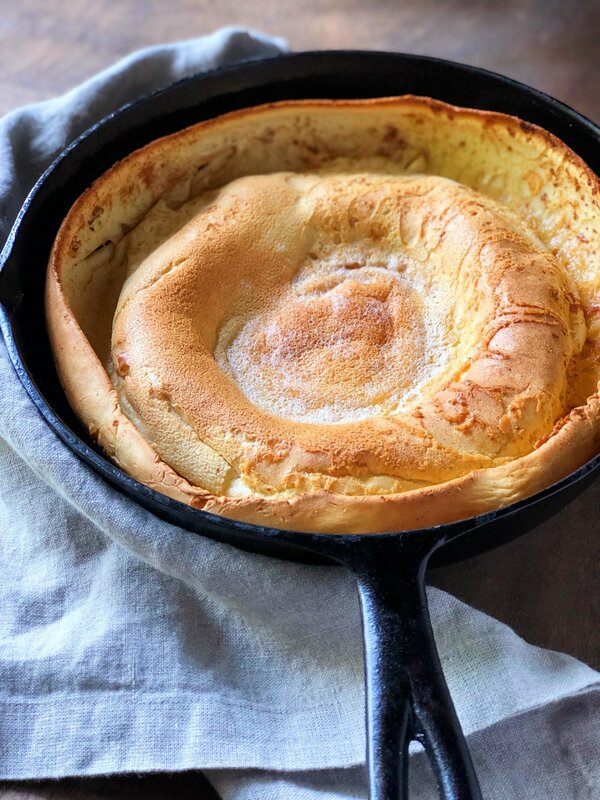 The first time I heard about a Dutch baby, also known as a puff pancake or German pancake, was watching Alton Brown's Good Eats. He explains that it's basically a big, sweet popover, using pretty much the same ratio of eggs, flour and milk as both those and Yorkshire pudding. I've since made them all, and while they're all delicious the Dutch baby has unquestionably been my most-repeated of the three. You can mix dutch babies with a bowl and a whisk, but lately I've been using my food processor, which is the perfect size for the batter. It makes the batter nice and smooth, and takes up a lot less dishwasher real estate. I also recently started letting the batter rest, a tip I gleaned from The Kitchn. It allows the flour to absorb the liquid, PLUS it makes it unnecessary to start out with room temperature eggs, which is an easy and annoying thing to forget. Dutch babies are fascinating to me because the way they puff up is like magic, but it's really all smoke and mirrors. Or steam and mirrors, to be precise. As the liquid heats and vaporizes, it expands between the fat and flour for a puff that ages much better than the sleeves in your childhood photos. Which brings up an important point. Avoid the temptation to open the oven too early when you make your Brambleberry Lavender Dutch Baby! And it will tempt you. Trust, my friend. Maybe use it as motivation to clean your oven window, which I may or may not need to do as well. Back to the name. I did look around internet-land for the reason behind it, and like Alexander Hamilton, I will never be satisfied. Basically the prevailing story is that while its roots are in Germany, the name "Dutch baby" originated at Manca's Cafe in Seattle in the 1900's, where they subbed in "Dutch" for "Deutsch" (German for "German"—think the Pennsylvania "Dutch", who are actually German). The thing is, that's not the part I'm curious about. I want to know why it's called a Dutch baby. When you talk about eating that beautiful Dutch baby and going back for seconds around unwitting strangers, which part is it that gets the stares and questions? "Ma'am,* I couldn't help but overhear you were going to eat a Dutch baby, which is disturbing, because clearly the baby would be Deutsch, which is German," is never how the conversation goes. If you said the baby-eating, you were correct. Pick up your prize on the way out, it's a Brambleberry Lavender Dutch baby recipe. *Please don't call me ma'am. I don't have to get up super early to make it. It comes together fast, and I can hang out while it bakes. It all comes out at once, so I can sit at the table before everyone else is on their last bites. Don't get me wrong, I LOVE cooking for other people, and I don't see it as a burden. Plus we have an open kitchen, so I'm technically still in the mix even while I'm cooking. Still, it's nice sometimes to not have to spend breakfast standing at stove or the waffle maker while everyone else takes their coffee to the table. Besides, I'm the possibly the slowest eater in history, so I'm pretty sure people get annoyed with waiting for me to finish savoring my last bites. Dutch babies are great on their own, but I love mine filled with compote and topped with whipped cream, which is how the Brambleberry Lavender Dutch Baby was born. Compote has been a breakfast-topping favorite of mine since college when I learned about it on Chopped started making it to put on chocolate protein pancakes—very healthful of me, considering I also added chocolate syrup and whipped cream—so it was a no-brainer . So what exactly is compote? Compote is a chunky, sweet sauce made of fruit, sugar and citrus simmered together. It's quick and easy to throw together, especially if you keep frozen fruit on hand—amazing for thrown-together breakfasts and last-minute desserts. It's tangy and sweet, and as an added bonus, it's Gorgeous. Ain't no question if I want it, I need it. So where did the lavender inspiration come from? Two things. First was another college comfort. I used to live down the street from and volunteer at The Wild Ramp, a hyper-local farmers' market co-op in Huntington, West Virginia. They sold Jeni's Splendid Ice Creams, and I loved trying out all the unique flavors including my favorites, goat cheese and cherries and yup, lavender brambleberry. ...I also may have put this on the chocolate protein pancakes once or twice. Second, I really love lavender and keep a lot of it on hand. What do you actually DO with lavender? I think it's one of those ingredients people want to buy because they like the smell and it just sounds special, but putting it into use is more difficult. It is becoming more prevalent though, so there is inspiration around if you're reading menus (one of my favorite things to do, as a food-obsessed person). You can simmer a little of it with equal proportions of sugar and water to make lavender syrup for coffee or lemonade, sprinkle a pinch into whipped cream (which you should put on top of this recipe), or add it to your tea for a floral touch. My favorite thing to do with it, though, is sprinkle it into batter. Waffles, pancakes, cakes—you name it! Which is why it was a natural fit for a Dutch baby. If you saw my recent Instagram post with the recipe for Brambleberry Lavender Compote, you may have seen that a lot of the comments were people asking where to get dried lavender. I've seen it at some specialty stores like Whole Foods, but my personal favorite place to get it is on Amazon, where you can buy it in bulk for much less than the smaller portions you might find at the store. Above is the specific kind I like to buy, but it comes with a lot. I keep it in a mason jar and use it to double as a decoration on my bookshelf. You can shop around and see what works for you, but wherever you get it make sure it's culinary grade! Other types might be contaminated as they're not processed with food safety in mind. Don't forget the lavender whipped cream. It's so easy to make, and it's so worth it. I mean look at this. Look at these. Keep the daisy home for the day, because you brought dollops of LAVENDER WHIPPED CREAM to the party. 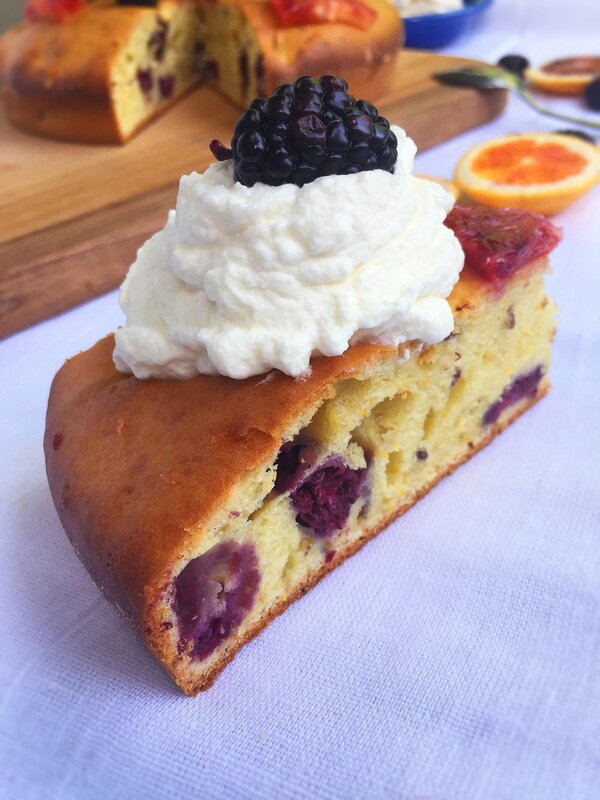 If you make the Brambleberry Lavender Dutch Baby, let me know by sharing a photo with the hashtag #whipsmartkitchen and tagging me on Instagram, Facebook or Twitter.You can also upload them using the "tried it" feature on Pinterest to help out others looking for brunch recipes. I LOVE to see your photos, really. It makes my day. 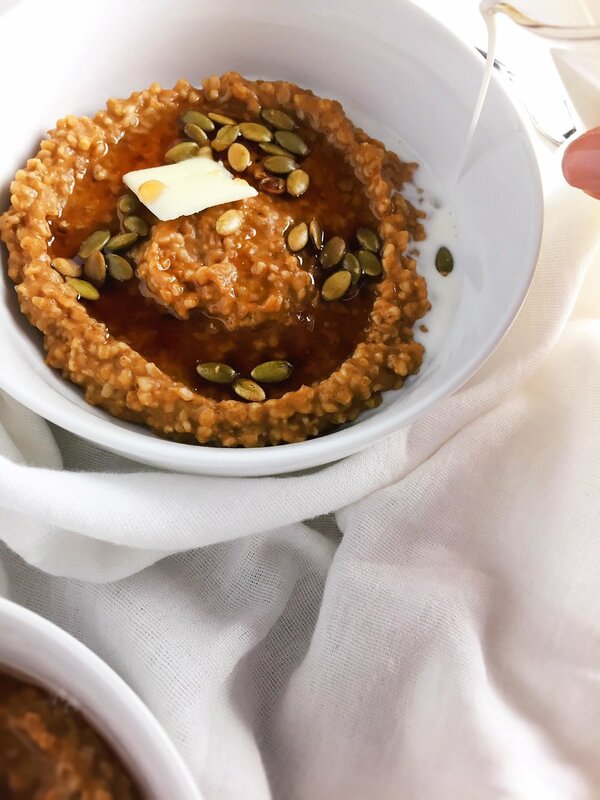 If you're into this recipe, you may want to subscribe to my newsletter so you'll always be notified of my latest recipes! 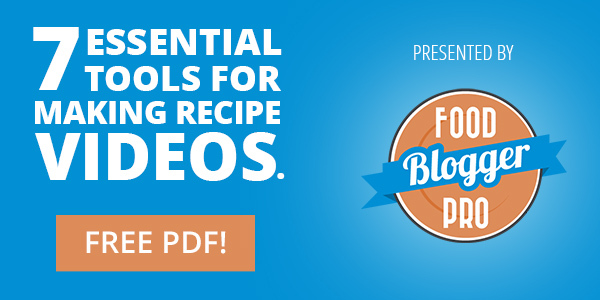 You'll even get a freebie I put together to help make cooking a little smoother even for beginners. Thank you for signing up—your freebie is on its way to your email inbox! If you don’t see an email soon, make sure to check your spam folder just in case. 1. Combine flour, sugar, salt, lavender, eggs and milk in a food processor and pulse until smooth. Allow the batter to rest for about 15 minutes. 2. Meanwhile, preheat the oven to 400º F. Put the pan in the oven to heat up for about 10 minutes, adding the cold butter halfway through to brown. 3. Add the melted butter to the batter and pulse again until smooth. 4. Carefully remove the pan from the oven and swirl the butter around to coat the bottom and sides. Quickly pour the batter directly in the center, tilting to coat the bottom of the pan as-needed. Immediately place the pan back in the oven and bake until the dutch baby is puffy and golden brown with crisp edges, about 22-24 minutes. Resist the urge to open the oven while it cooks! 5. Pour the raspberry compote into the center and spread it around the bottom to coat. 6. Cut the dutch baby into wedges and serve it hot from the pan with maple syrup and whipped cream. 1. Combine the berries, sugar, lavender and lime juice in a small saucepan and bring to a boil over medium-high heat, stirring occasionally (5-10 minutes). 2. Reduce the heat to low and allow to simmer until the compote thickens up and large clumps of berries break down, about 15 minutes. 3. Turn off the heat and allow the compote to cool off, during which time it will continue to thicken. 1. Mix all ingredients in a chilled bowl on medium-high speed until medium to stiff peaks form, about 1 minute (longer if using a whisk instead of a mixer). • I mean it—don't open the oven until time is up! Let that baby puff. • You can add more lavender to the whipped cream if you want a stronger flavor, but be careful as too much can taste like soap. • If you’re serving this with a bunch of other dishes, you can always slice it thinner so up to 8 can have a taste. Flaky, buttery biscuits in a golden crust that rise like champs. They're perfect solo with some butter and jam, or with my personal favorite comfort food—creamed turkey. Disclaimer: This post contains affiliate links. That means I get a small commission if you buy products I recommend. I only recommend products I believe in. That means I've used it myself in most cases, and at the very least I've researched it thoroughly and find it trustworthy—I would never recommend anything I wouldn't use myself. Please reach out if you have any questions! I'm just here for the biscuits and I've already scrolled through 106 photos. Jump to the recipe. I'm not quite sure how we got to December, but here we are. It's probably a little tired to talk about how the years whir by faster the older you get, but it always seems to surprise me regardless. This is about the time my work starts to slow down and I get to relax and spend time doing the things I love. JUST KIDDING. I'm panicking about how much baking I can get finished, trying to finish Christmas shopping (I'll start in September next year... is probably a lie), packing frantically and trying to get some recipes photographed last-minute. Oh, and telling everybody else in my life not to sweat the small stuff I'm sweating. Despite being hopelessly overcommitted (re: nutso), I have been trying to find ways to tie in reflection and gratefulness into my work here. Which is how we landed on biscuits. 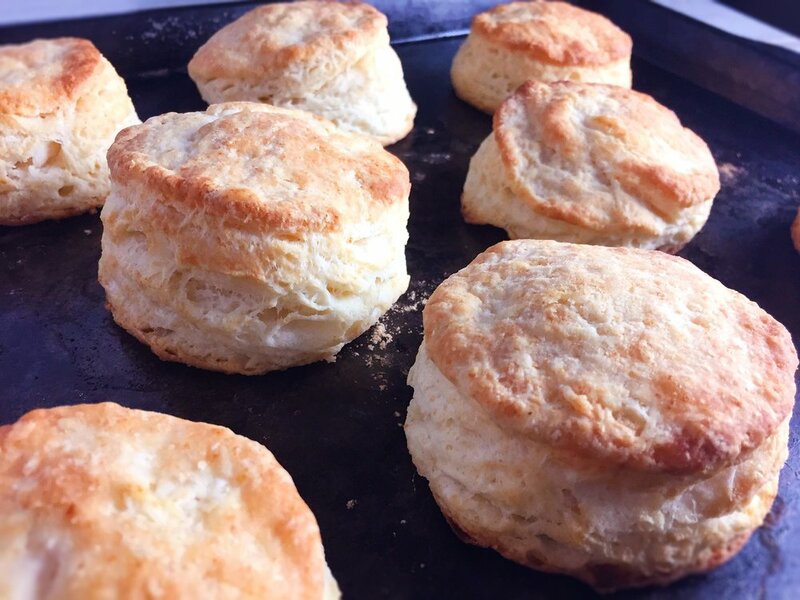 Biscuits supreme is a recipe I grew up on. It’s a favorite in my Ya-ya’s recipe box, given to her by her mother, my Nee-nee. If you search "biscuits supreme”, you’ll get a good number of similar biscuit recipes with slight variations. As far as I can tell, the original came from a midcentury Better Homes and Gardens cookbook, and like so many other recipes, was passed down through countless families like a delicious game of telephone. On a Christmas visit, shortly after I moved to Tennessee, my Ya-ya gave me the recipe printed on an index card in her angular handwriting—one of the few family recipes we have that's actually written down with measurements and full instructions. I wish my handwriting was half as interesting as hers, or my great aunt’s whimsical swooping letters. Both should be fonts. I've tried for years to copy them from sticky notes and birthday cards to make my own version, but it's never quite right. I'm better at emulating their cooking skills, which brings us back to biscuits. To round out the connection, I do like to experiment with things to put my own spin on them. Millennials, amirite? Why mess with a good thing? Because butter. I reaaaaally wanted to use butter. 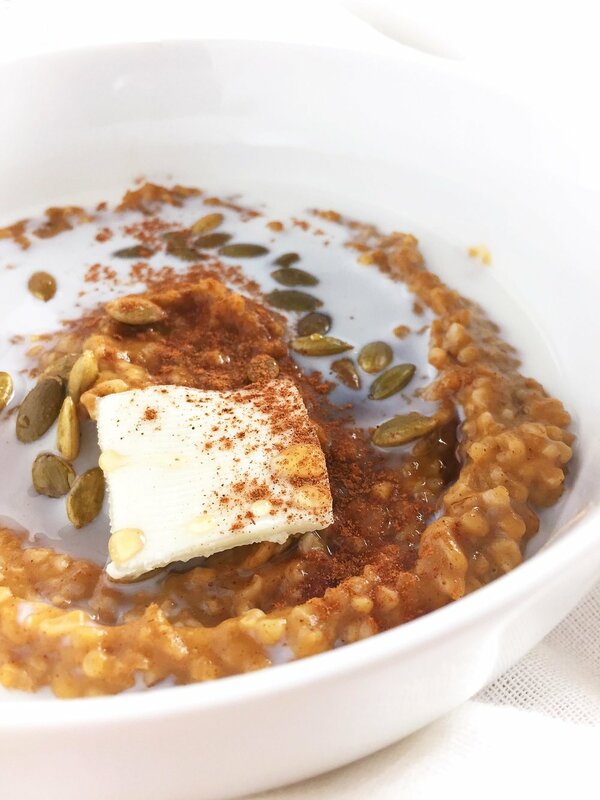 The original recipe calls for shortening, which I’m not opposed to using, but I do try to keep use of heavily processed ingredients to a minimum. It was a product of it's time and it makes total sense here, but butter brings the flakiness in a way shortening can't. The first time I tried to make biscuits (not my family’s recipe, a random one I found online), I ended up with a crunchy disc. Pretty tasty… but more like a cookie than a biscuit. English biscuit? Um, maybe (no). Definitely not making the cut in Tennessee or West Virginia. These biscuits on the other hand. These. Biscuits. Tall and tan and flaky and buttery. These are the biscuits from Ipanema. Butter makes a difference because as it cooks, it turns to steam and leaves pockets. That’s why the best biscuits have streaks around the middle like the dough is stacked in layers—it is! The thing is, using butter isn’t enough. If you just mix the butter in any way you want, those pockets won’t form. If you want flaky, pull-apart layers, you need the right technique. Conventional advice I’ve always heard says to cut cold butter in, then mix it in with your fingers until you have pea-sized chunks. The misshapen one with the arrowhead-shaped top is the last cut, made of scraps. If you're worried about presentation, just skip it (or make it and scarf it down directly out of the oven before anyone sees it). It's a good start, but there’s a better way if you want a next-level biscuit. I looked to one of my favorite books, Cooks Illustrated's The Science of Good Cooking for some sage advice. I think the biggest help the book offers is the idea of fraisage and lamination—stay with me here, we’re not talking about covering it with plastic. We’re talking flattening the butter and folding it into the dough in layers in this form of lamination, meanwhile fraisage is a French technique where you smear butter into a dough with the heel of your hand. Think about the buttery strips when you tear into a croissant, or a pie crust falling apart and melting in your mouth. Mmmm. The book suggests flattening the butter rather than breaking it up into pea-sized chunks, keeping it nice and cold until baking time and folding the dough over onto itself several times. We'll do a rustic version, because as much as I love learning about food science, most people probably don’t want cooking to feel like lab work. I’d personally love to work in a test kitchen, but I’m pretty short on time most days in real life. Besides, sometimes I just want to feel more artist than scientist, you know? We’ll riff on it. My family’s recipe already used two of the book’s tips. First, a little shortening is actually a good thing. I’ve always seen shortening as a) one of those supposedly healthy fats that turned out to be worse than butter, and b) a foolproof way to make dough come together. Butter is difficult to work with, but shortening is hard to mess up. That is true, but it’s also a hasty generalization. I teach public speaking, so we can't have that. Turns out it serves a separate purpose too—it helps keep the biscuits tender by reducing the moisture content and forming a weaker gluten structure. Weak gluten = tender. Who knew? Our family recipe also features two leaveners, which the book recommends, in the form of baking powder and cream of tartar. I left the leaveners the same, but I changed the milk to buttermilk, which changes the acidity and reacts to them a little differently. I think it balanced out pretty well. It's fun looking at how these recipes handed down through the years stand up to science-based techniques. Possibly one of the most fun things is that you don't have to care if you like it the way you already do it. There's rarely only one "right" way to do something. I love my family's classic biscuit recipe, and I love that my Ya-ya makes them for me with creamed turkey when I come home. I love how simple the recipe is to put together. I love that it tastes like what her family sat down to eat during a time I can only imagine. I love reading it in her handwriting and hearing the instructions the way my Nee-nee must have taught her. It's also incredible that knowing the concepts of lamination and fraisage help me understand croissants, pie crust, puff pastry, certain breads, other biscuits, scones... and they get me thinking about how I can play with other recipes for a similar effect. Is it possible to make a biscuit or croissant cookie hybrid? Is that already a thing people are standing in line for in Brooklyn? What would you call it? I just googled what I thought it would be called, and that is a different thing. Don't worry about it. This week is super-fun because I'll be posting TWO recipes. I've been pretty inconsistent lately, I know. I doubt anyone is visiting daily to see if I've updated (though, please tell me if you do, because I will die), but I do want to at least follow my own content calendar. I have this anxiety that my strategic communications students will find my blog and berate me for not sticking to the standards I hold them to. "Mrs. Cavalier, you're not posting consistently enough," they say, in my anxiety-fueled nightmares. "Did you even set objectives? No one is going to stick around if you don't give them content to come back for and serve them. That's what you said." YES I SAID IT. And it's true. Class, if you're here, it takes SO long to grade your stuff. I love you all anyway. And to anyone who does come here regularly, I really am sorry. I'm working on it. Did I mention I'm also a football sideline reporter and caterer on the weekends? Because this has been a long, rough semester. Anyway, I submitted final grades at about 3 a.m. Saturday, and I'm ready to get back to work. That's why later this week I'm posting a recipe for one of my favorite recipes ever: creamed turkey. Yuuuup Brooke County (West Virginia) people, get ready. If that sounds a little suspect to you, I get it. But I promise, creamed turkey is legendary. It is the comfort food of comfort foods. While you're here, I'd love to hear what your favorite family recipes are! Let me know in the comments at the end of this post what recipe is most treasured in your family, and whether you've tried it out for yourself. If you make this biscuit recipe, I'd love to hear about it! Just comment below, or post a photo to Instagram, Twitter or Facebook with the hashtag #whipsmartkitchen and tag me! You could also use the "tried it" feature on Pinterest. I'm always happy to answer questions as well. Thank you! Your freebie is on its way to your inbox now! If you don’t see anything from me soon, check your spam folder just in case! 1. Preheat the oven to 450º F.
2. Combine dry ingredients in a medium mixing bowl and whisk thoroughly to combine and aerate. 3. Mix the shortening into the dry ingredients with clean hands until the pieces are pea-sized. 4. Add the cold butter cubes to the mixture and cover them with flour. Flatten the pieces of butter into dime-sized pieces between your finger and thumb, breaking apart as necessary. Continue until most of the butter is flat. 5. Refrigerate the mixture for about 15 minutes. 6. Remove the mixture from the refrigerator and add the buttermilk all at once. Stir with a fork until the dough follows the fork around the bowl and forms a ball. 7. On a well-floured surface, shape the dough into a firm ball and sprinkle a little flour over it, then roll out to 1/4 inch thickness. Fold it onto itself twice, then flatten again and repeat. 8. Roll the dough out to 1/2 inch thickness and cut out rounds with a biscuit cutter or a glass. Ball the scraps together, roll out and cut again until you’ve used all the dough. 9. Brush the biscuits with the melted butter and bake 1-2 inches apart on a baking sheet for 15 minutes, or until biscuits are golden-brown and puffy. Serve warm and enjoy! These biscuits will last a few days covered at room temperature, or longer frozen. • Don’t open the oven before 15 minutes are up. You don’t want to let the steam (or the heat) out! • Your last couple of biscuits will be a little misshapen if you keep balling the scraps together as directed in this recipe. It's still delicious, but if presentation is important to you, you may want to keep that in mind. A silky blend of eggs, ricotta and gruyere top hearty sweet potatoes, black beans and smoky vegetables. 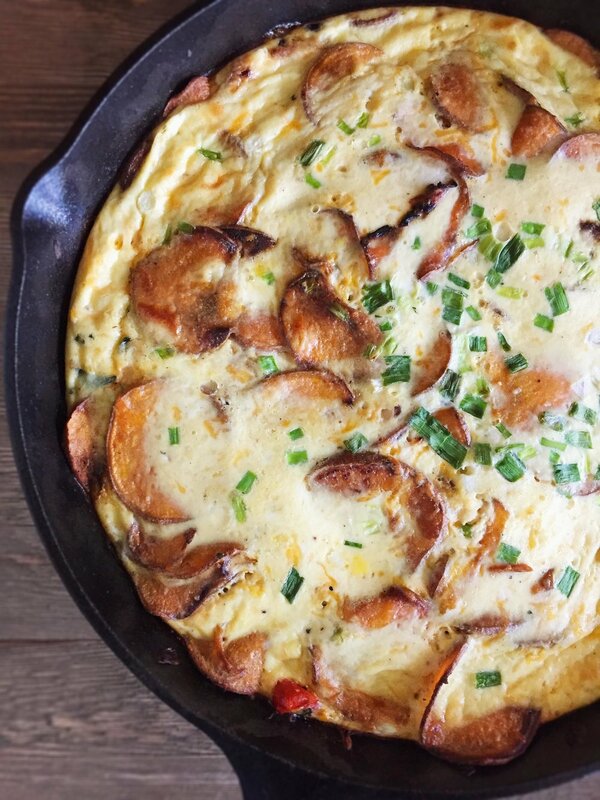 Flavorful and filling, this frittata can feed your brunch crowd or be stored in the refrigerator for days of healthy breakfasts. Disclaimer: This post contains affiliate links. That means I get a small commission if you buy products I recommend. I only recommend products I believe in. That means I've used it myself in most cases, and at the very least I've researched it thoroughly and find the company trustworthy—I would never recommend anything I wouldn't buy and use myself. Please reach out if you have any questions! Stomach... rumbles... uncontrollable... gimme that southwest style sweet potato frittata—skip to the recipe, please! I've always thought frittatas were so-so. Pretty good. Nothing special. Breaking news: I was WRONG. This summer while Adam and I were visiting his parents in West Virginia, they made us an incredible brunch. It featured biscuits (duh, I said "West Virginia"), a selection of gourmet jams (new playlist name?!) to try and the star of the show: a cheesy, tender frittata. The problem with frittata for me has always been that it's either too rubbery or too slimy, and/or that it's just too eggy. Yes, I know its supposed to taste like eggs. Yes, I love eggs. No, I have no desire to eat a wet scrambled egg pie. Sorry. But this frittata. THIS frittata was spongey in a buttery way, had plenty of texture to break up any monotony, and had as much flavor as any savory dish at my favorite brunch spots. It was filled with sausage, potatoes, kale, spinach, onions, and lots of cheese. One of the reasons it was so incredible is because my parents-in-law broke the rules of the recipe they were using, and brilliantly so. It said to drop ricotta in by the spoonful before cooking, but they went ahead and mixed it right in to the eggs with the gruyere. I think that made all the difference in terms of texture. They also threw in some browned sausage into the mix, which was pro play-calling. I've been a frittata fiend since. I've made one nearly every week—really. It's such a great breakfast, and I just have to work for it Sunday to reap the benefits throughout the workweek. 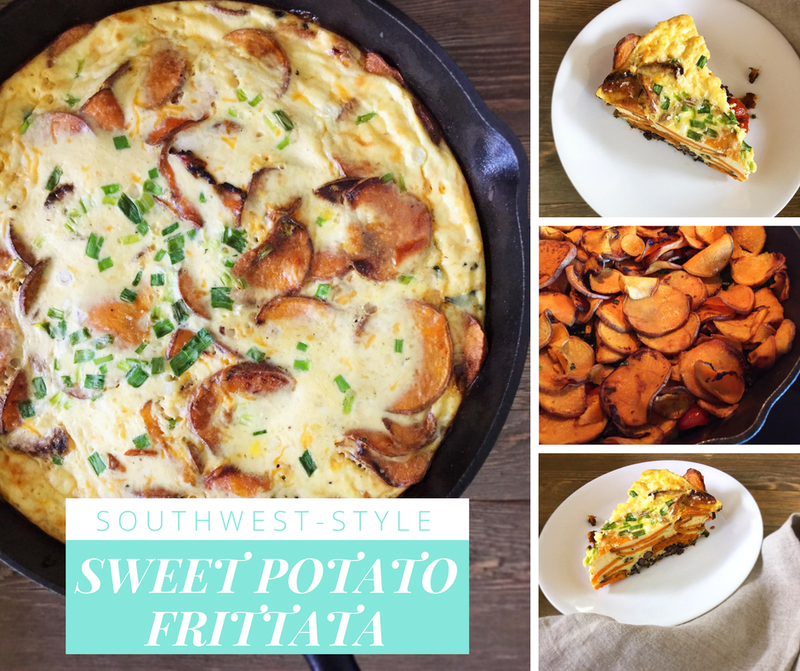 To switch it up I've been rotating versions, including the one I'm sharing today: southwest-style sweet potato frittata. This frittata has the same incredible texture, but a slightly different vibe. Namely, smoky-sweet. Onions, cherry tomatoes, jalapeños and black beans form the smoky base, while crispy-edged sweet potatoes add meatiness and mellow things out. It's topped with... you guessed it an egg mixture enhanced with ricotta and gruyere. I know, it doesn't sound like either of those cheeses should go in anything invoking the southwest, but I swear it works. If you really have a problem with the gruyere, you can always go for some sharp cheddar, but DO NOT skip the ricotta. Ricotta is essential to the experience I'm trying to give you. Don't question it. I'm more Lucille Bluth than David S. Pumpkins on this one. I truly don't know that I'll ever make another frittata without it. If I had to guess why the ricotta-egg mix is so magical, I'd chalk it up to the fat versus liquid content. Ricotta a whey protein, which is essentially cream or milk quickly curdled with an acid in order to thicken it and intensify the flavor. That means the fat and protein stick around without all the liquid. When you cook eggs mixed with dairy products or other liquids, too much steam can become a problem. With a short cooking time it's not such a big deal, but the longer the cooking time, the more tightly the proteins in the eggs bond, the more liquid they push out, and the tougher your eggs get. On the other hand, if you reduce the liquid and up the fat, your eggs are going to steam less, and your eggs should stay tender. Furthermore, the added fat will coat the proteins and slow down their coagulation even more. TL;DR: You get to have your cake and eat it too, as the liquid from the milk will steam the proteins enough to make the eggs fluffy, but the fat in the milk and the ricotta will coat the proteins to help keep it from getting tough and rubbery. Why mess with a frittata that isn't broken? I believe in moderation, so some sausage is perfectly okay in my diet. On the other hand, moderation probably doesn't include eating it nearly every day. Besides, sometimes you've just got to switch things up! A big benefit of this southwest-style sweet potato frittata is that it puts a little healthy twist on things. Swapping out sausage for black beans and potatoes for sweet potatoes lowers the sodium a bit, adds some more vitamins and fiber and lightens things up overall without sacrificing flavor. It's probably not the recipe you're looking for if you're overly concerned about cholesterol, but hey, it's also not the 90s. A few months after our trip, Adam's parents came to visit us on their way to visit family in Alabama. I was able to serve them my version of their frittata on their way down, and this southwest-style sweet potato frittata on their way back home. I might have gushed a little over how they've inspired my new obsession and made my mornings before work so much easier. This southwest-style sweet potato frittata is perfect if you have company coming over, especially if you prep the vegetables ahead. I personally like to make this on a Sunday so I don’t have to worry about breakfast throughout the week. It refrigerates beautifully, and can be reheated in the microwave without altering the texture dramatically, unlike many egg dishes. That's saying something, because generally I ha-ha-haaaate microwaved eggs. The ahem RICOTTA keeps the microwave from turning the eggs into smelly rubber. I just pop in a slice for 45 seconds to a minute and savor it with some coffee and maybe a side of fruit. Are you a frittata fan? What's the best one you've ever had? As always, I want to hear from you! Whether you make this one, think it sounds good, or just have strong feelings on egg-dishes, let me know in the comments! Got a question or something you're struggling with in the kitchen? I'd love to help you out if I can, but I won't know until you ask. If you make this recipe, make sure you come back and let me know how it was, or you can post a photo on Instagram, Twitter or Facebook with the hashtag #whipsmartkitchen & tag me! One more thing—bloggers, Instagram enthusiasts and influence aficionados: stick around until the end of this post. I've got something fun for you! Time: About an hour, including 20 minutes passive bake time. • A deep, 10-inch, oven-safe skillet. Cast-iron works best. 1 . Preheat your oven to 400º. 2. Warm a 10-inch cast-iron skillet over medium heat. 3. Add oil and butter to the pan. 4. Cook potatoes, flipping as necessary until tender with browned crispy edges. You may need to do this in batches to get them cooked through. Add more oil as necessary. 5. Turn off the heat, remove the potatoes to a separate dish and set aside for now. 6. In a medium mixing bowl, combine the eggs, milk, garlic powder, salt, pepper and ricotta, and stir until smooth. Stir in the gruyere until well distributed. 7. Heat the pan from earlier over medium heat again, and add a bit more oil. 8. Add the jalapeños and onions and sweat them until soft, about 2 minutes. 9. Add the kale and cook until wilted, about a minute, stirring often (see note if using baby kale*). 10. Add the cherry tomatoes and cook them until soft and blistered, about 2 minutes. 11. Add the black beans and spinach and cook until the spinach is wilted, 1-2 minutes. 12. Add the potatoes back in and gently spread them as evenly as possible around the pan. Turn off the heat. 13. Pour the egg mixture in into the pan (over the vegetables) as evenly as possible. Bake for 20 minutes, or until the center is firm but still jiggles a bit when you shake the pan. The edges should be just beginning to brown. Top with more sliced scallions, if desired. 14. Allow to cool for 10 minutes, then run a knife around the edge of the pan, and cut into 8 pieces. 15. 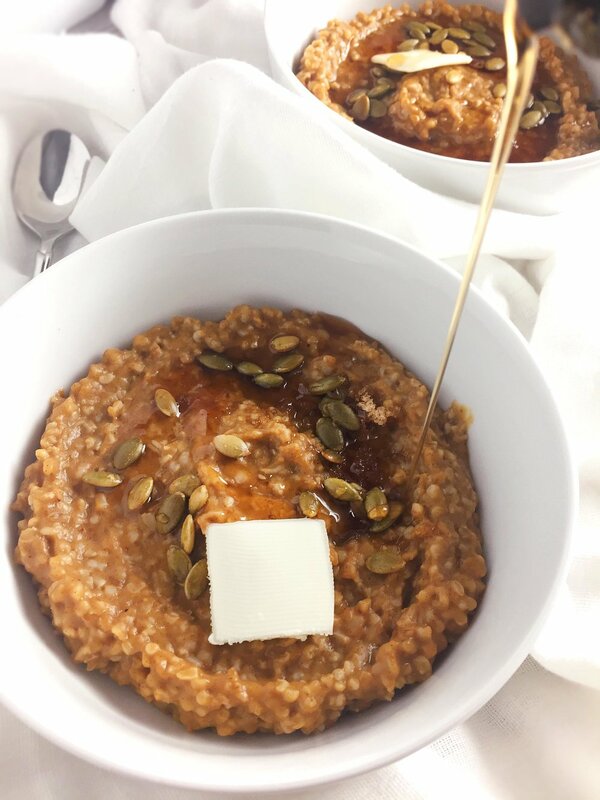 Serve warm, or cool completely and store in the refrigerator for days of healthy breakfasts! * I typically use the standard curly kale that comes in bunches in this recipe, which is pretty tough and takes a while to cook down. If you decide to use baby kale or one of the common "super green" mixes available, add it in later in the recipe with the spinach, as it is more delicate than mature kale. I do this all the time and it works great too. • I've also used Irish cheddar along with the gruyere when I was running low, and it's a suitable replacement. Feel free to experiment with sharp, savory cheeses! • One jalapeño doesn't add a lot of heat to this recipe, so if you're looking for a kick, try using a couple, or moving up to serrano chilis. Hey, are you a blogger too? Maybe even a food blogger? 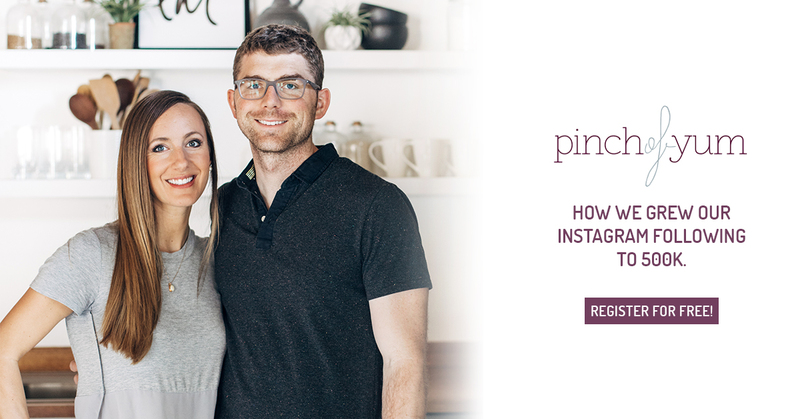 I'm attending a live Q&A Thursday (11/9) with Pinch of Yum and Food Blogger Pro's Lindsay and Bjork Ostrom on how they've grown their Instagram following to 500K. I'd love to see you there too! 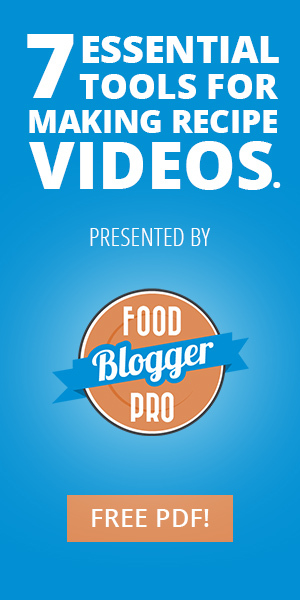 It's mainly for food bloggers, but I can easily see anybody interested in Instagram getting value out of this. It's super-easy to register, just click this link—Instagram Live Q&A with Food Blogger Pro—or the graphic below. Full disclosure, this is an affiliate link. 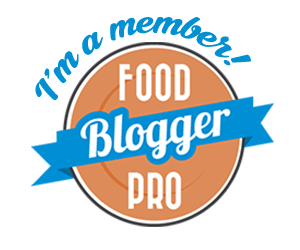 That means that if you end up enrolling in Food Blogger Pro after clicking my link, I'll get a small portion of anything you pay. That being said, the webinar is totally free and you don't have to buy anything to get a ton of incredible info (seriously, just listen to their FREE Podcast—I'm obsessed). I really believe in Food Blogger Pro, and Pinch of Yum is the delicious proof that they know what they're doing. Bjork and Lindsay and their whole team are so knowledgable and generous, and they've helped WhipSmart Kitchen become what it is today (and what I hope it will grow into!). 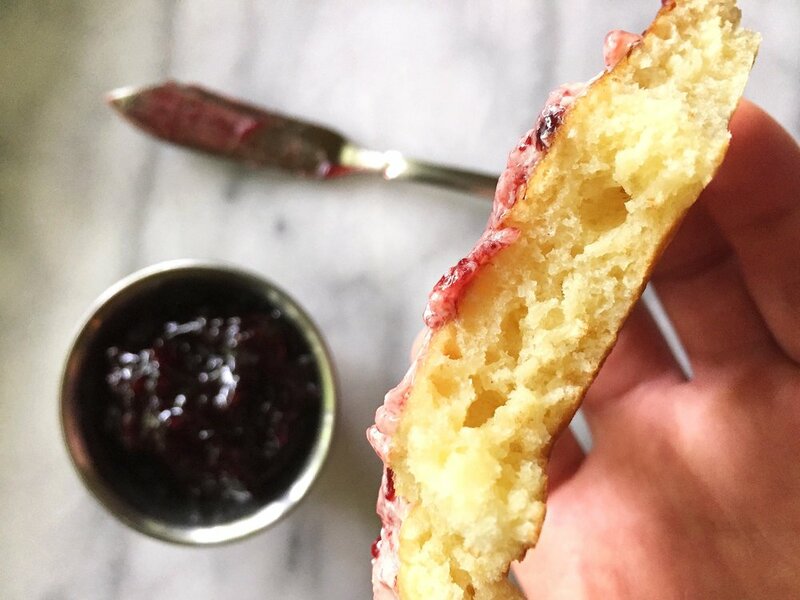 A lightly sweet griddle cake perfect for butter and jam. Buttermilk and sour cream add tangy flavor and a tender, fluffy middle to this cousin of pancakes. I'm famished, drop the story and give me the scones. A few months ago I learned about a griddle cake, and it's changed my life. Okay, maybe that's hyperbolic—but only a little. I've truly made a batch nearly every week since then. They're called drop scones, but they're really not like scones at all. When you make drop biscuits, you start with a similar batter and get a biscuit-like dumpling hybrid. These are more like pancakes than anything else. In fact, these beauties are also called Scotch pancakes. So are drop scones the same thing as silver dollar pancakes? Not really. For one, they're much thicker and they can hold their own and then some. Traditional pancakes are fork and knife food. If you hold one by the edge it's going to droop. Do the same to a drop scone and it will hold its shape. That makes them ideal for jam and butter, and for leftovers. They're also sweeter, with sugar right in the batter. At the same time, they feel less like a dessert breakfast than pancakes depending on how you dress them up, which makes sense as drop scones are generally served over tea in the UK. Whenever you eat them, they're small and un-syrupy enough to work for everyday meals. Drop scones, while new to me, are a time-tested recipe. They appeared to me in a vision, and by vision I mean in my Google Cards after binge-watching Netflix's "The Crown". I found this article which gives a recipe that it claims Queen Elizabeth II herself used, once making them for President Dwight D. Eisenhower. I'm a sucker for food history, so I took the bait. The recipe features some ingredients measured in teacups, which is just fantastic. It's always fascinating to me when handed-down recipes incorporate non-standard measures like teacups, cans and yogurt containers. The first time, I made them almost exactly the way the recipe describes for the first batch, and they were delicious. The second time I added some orange zest, and that was pretty nice too! The third time, I realized I had run out of cream of tartar, and that stuff is... expensive. Also, fun fact, baking powder is made of baking soda mixed with dry acid, typically cream of tartar. Hmmm. Drop Scones version 1.0 cooked in plenty of buttah. A little spongier, little thinner, little less rich. Still delicious. I decided to go with two teaspoons baking powder and one teaspoon baking soda. That doesn't exactly add up—technically the ratio would be somewhere between 6 and 8 teaspoons of baking powder 😳—but the thing with leaveners is that less is often more. Have you ever doubled a batch of leavened waffles? You increase the amount of everything but the yeast. Plenty of breads and other leavened goods behave the same way. Besides, I wanted to add some acid in the form of buttermilk and sour cream, which meant I could cut down on the dry acid. Buttermilk makes the end product more tender, and plus it reacts with the baking powder to help these little delights rise higher. I only added the sour cream to give the batter a little zip (think sour cream doughnuts). One more change: I put the batter in time out for 10 minutes. Resting the batter makes certain the flour absorbs the liquid. The batter expands a bit too, filling up with tiny bubbles that will stay as you cook the drop scones. These tiny changes created puffier, ultra-tender drop scones with more flavor. More even browning with slightly crispier crust. Bliss? Pretty much. Those dark spots are what happens when the pan is a liiiiittle too hot. Whaddayagunnado? Besides, you know, turn the heat down. One of the things I love about drop scones is how versatile they can be. Typically I'll grab one out of the refrigerator, toast it (!!! ), spread on some butter and jam and have it for breakfast. Preferably with scrambled eggs. Perfetto. A gnawed cross section. For scientific purposes. I'm also a big fan of snacking on them when I want something sweet after dinner. Toasted with little PB&J on top? Yes, please. Nutella? Let me think about that. I mean, was there ever really a question? Next experiment is drop scone sandwiches, but I'm saving that one for a rainy day. Right after you take drop scones off the stove. They're still steaming and you can smell the butter on them. They're a bit crisp on the outside, a little gooey in the middle. They're pretty much BEGGING for butter and maple syrup. HOLD UP. Understand that if you do this, you'll be breaking a rule. Maybe even a cardinal rule? Now that you know that, also know that rule is the same kind that says not to put pesto on a sandwich or dip fries in your Frosty. BREAK IT, with zeal, ASAP. So, what's your favorite breakfast food? Let me know in the comments! I'm always developing recipes, so I'd love to know what you like. As always, I want to hear from you! If you make this recipe, make sure you come back and let me know how it was, or you can post a photo on Instagram, Twitter or Facebook with the hashtag #whipsmartkitchen & tag me! So let's drop some scones! 1. Beat together eggs, sugar, and half of the milk (on medium speed, if using a mixer) until smooth. 2. Gradually beat in the flour, scraping the sides as needed, until well-mixed. 3. Continuing to beat the mixture, slowly and carefully add the rest of the milk and the sour cream. 4. Beat in the salt, baking soda and baking powder. 5. Fold in the melted butter. Allow the mixture to sit, loosely covered, in a warm place for about 10 minutes. 6. Heat a large pan over medium-low heat until the whole pan is hot, about five minutes. Add a pat of butter and swirl it around to coat the bottom lightly. 7. Slowly pour 1/3 cup of batter into the pan (this is how much most spring-loaded ice cream scoops hold). When bubbles begin rising to the top and the sides begin to firm up at about a minute, slide your spatula under it quickly and flip it. Continue to cook 30 seconds more, or until the sides are no longer gooey. Use your first one as a test. The finished drop scones should be golden-brown. 8. Repeat the previous step until all of the batter is gone, adding more butter as necessary. * I find it annoying to keep a half gallon of buttermilk in my fridge when I rarely need half of it. If you feel the same or you're just in a pinch, you can just add a tablespoon of white vinegar to just under a cup of whole milk. Stir once and let it sit for 10 minutes. This is a game-changer. 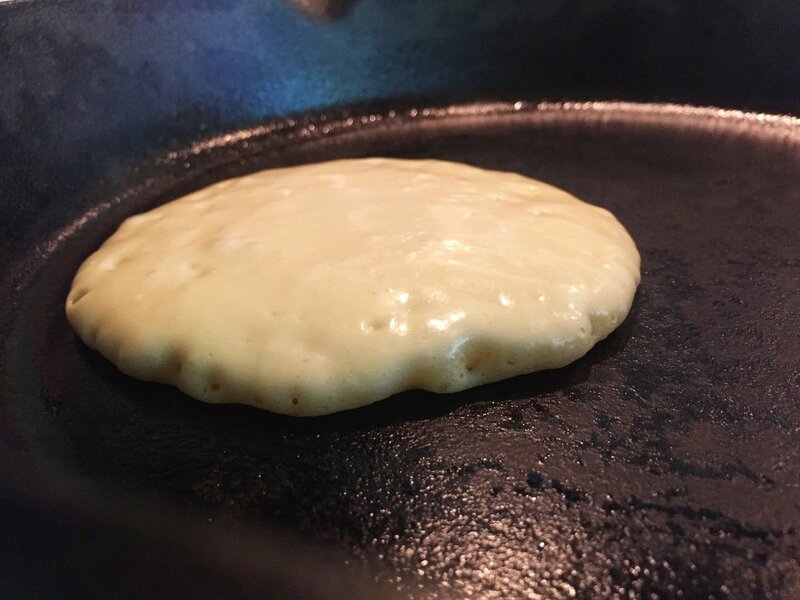 • The more butter you use in the pan, the more spotty your drop scones will be. Sometimes if there's too much on the pan, I'll blot it a bit with a thickly folded paper towel. If you like them a little on the greasier side and won't miss the honey-colored glow, go for it! • If your pan is too hot, you'll end up with dark, unevenly browned, tough drop scones. If it's too cool, you'll end up with undercooked, unbrowned ones. Pay attention to how the first one browns and adjust the stove accordingly. • Want to eat with everyone else? Before you start cooking, heat your oven to 170º and place a cooling rack in there. Put the drop scones on it in a single layer as you go to keep them warm until you're ready to serve them. Thanks for reading this far! I'm so happy you're here. I really want you to get the most possible out of WhipSmart Kitchen—and really anything kitchen related in general. That's why I created The WhipSmart Kitchen Guide to Mise en Place: How to Get the Recipe Right Every Time. I know so many people struggle with cooking, and I truly believe most people could be better cooks with just a few adjustments, and maybe a shift in focus. This guide is designed to help you figure out what's holding you back, and build your confidence by dipping your toes in. Not eating breakfast is the worst. Don’t do that. Instead, check out this video for serial breakfast-skippers—a little breakfast before bed, if you will. 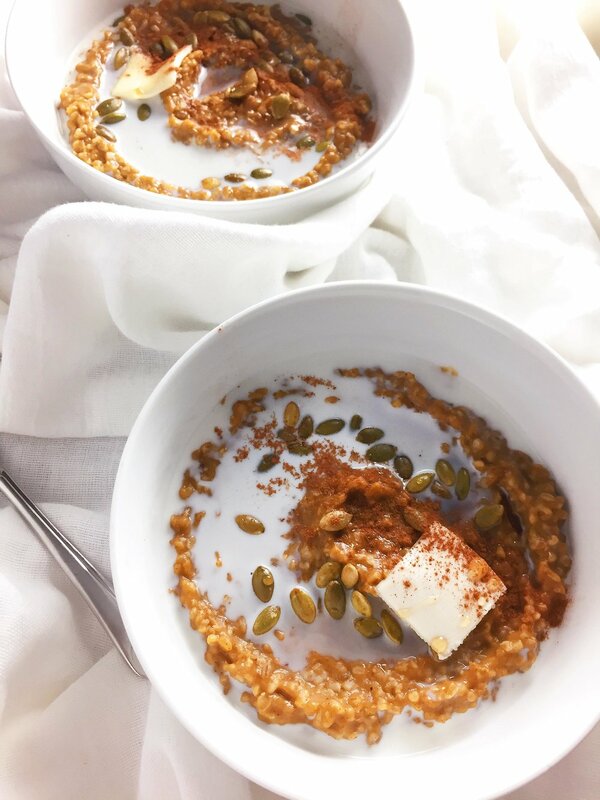 Fresh, fruity and filling, this super-easy way to get breakfast ready before you even hit the pillow is a tangy energy-booster. Split the can of coconut milk evenly between two 1-pint mason jars (this doesn’t need to be perfect). Add half of all the remaining ingredients to each jar. Place your immersion blender into the jar, and cover the mouth of the jar with paper towels to prevent splatter. Pulse several times until your mixture is dark pink/purple and cherries are well blended. This should only take a few seconds. Carefully remove the blender, pushing the mixture off of it and back into the jar with the paper towel as you go. Screw on the lids, shake for good measure, and leave in the refrigerator overnight or at least two hours. *If you don’t have an immersion blender, just pour all ingredients in a regular blender and pulse for a few seconds until smooth, then pour into jars. I prefer the immersion blender because this method leaves a lot of valuable liquid and seeds on the sides of the blender (okay, also because it looks cooler). Just be certain to scrape as much as possible out of the blender when you pour.